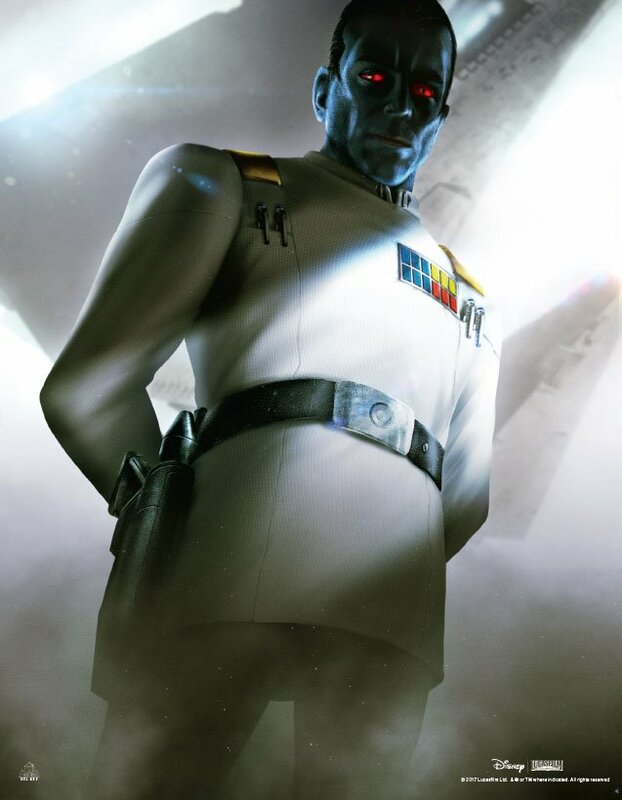 Eighteen years on from his original and strikingly memorable debut within the acclaimed Heir to the Empire trilogy, Timothy Zahn's compelling bad guy we love to hate and admire, Admiral Thrawn, a unique alien being of infinite artistic taste fused with remarkable foresight in his military tactical skills, has proved more popular than ever in the saga, bolstered by his proper official inclusion into the Star Wars animated universe with Star Wars Rebels during its final seasons, as well as the all-new Thrawn book tie-in trilogy, once more helmed by his creator, whose opening tales have been best sellers worldwide. Book Two's showcase of the character - Alliances - was noted for its strong plotting and characterisation, and its successful Prequel links incorporating iconic Republic heroes Anakin Skywalker (followed by the ominous Darth Vader in clever flash-forwards) and spirited senator Padme Amidala, the secret couple working, albeit uneasily, alongside the then very mysterious and secretive former Chiss spy on a hostile frontier world. 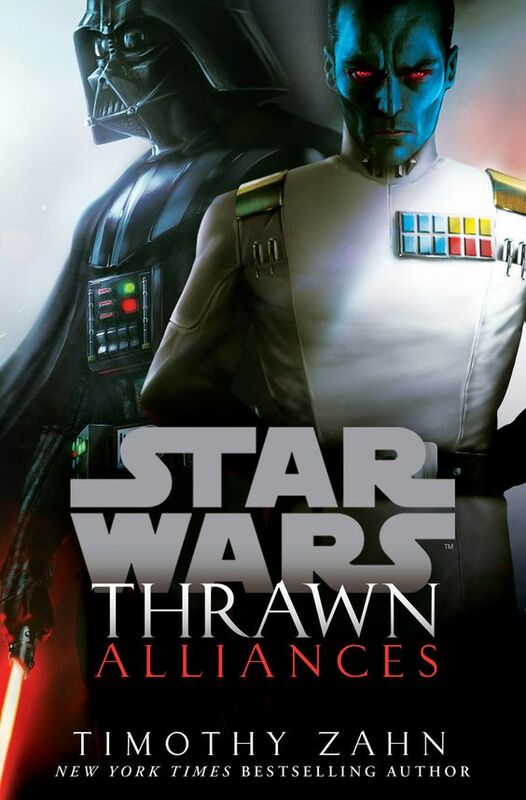 Thrawn: Alliances debuts in UK paperback, from Arrow, tomorrow (February 28th, 2019). And look out for the explosive trilogy finale: Thrawn: Treason, later this summer, published in hardback by Century. Wanting to get away from the prior darkness of The Temple of Doom, the saga's creators were determined that this potential final film in The Last Crusade was going to be a lot more for audiences to watch, whilst discovering and exploring more facets of Indiana Jones' character. And what a great start Lucas/Spielberg gave to the new film of 1989 - Indy's youthful origins (and phobias!) 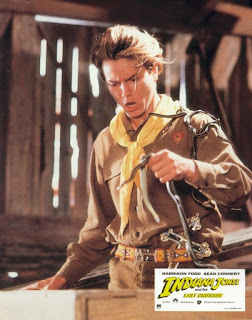 satisfyingly revealed via a fine performance from the late star River Phoenix, who worked closely with Harrison Ford to capture the character/actor's mannerisms and line delivery! 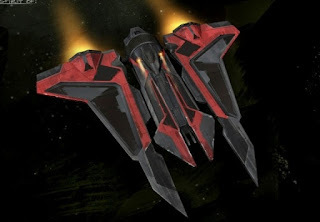 When you're one of the most powerful and vicious former Sith's in the galaxy, only the best and most intimidating looking vessel to travel in will do, as seen with Darth Maul's sleek and dangerous Nightbrother ship, seen in Star Wars Rebels but ultimately designed for use during the earlier The Clone Wars animated series. 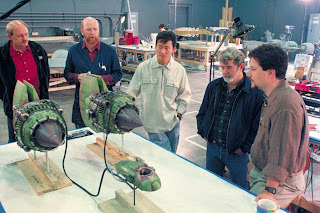 With the original never fully concluded plot of Maul on Mandalore soon to be witnessed as part of the eagerly-awaited final batch of TCW episodes later in the year, this vessel will surely be seen again, for the first time! Things are looking decidedly bleak for Imperial infantry mug Han Solo and other soldiers what with the death of their commander on the intense front lines of battle of Mimban. Gloomy that is, until the talented and blaster-ready arrival of a new 'officer', and a certainly memorable and courageous one at that for the impressionable Solo, especially when showcasing his unique gun-slinger twirling talents. 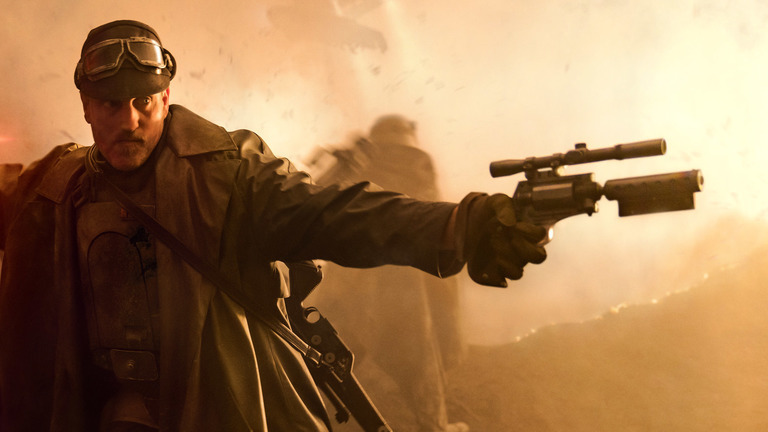 Welcome to Mimban and Solo: A Star Wars Story, Tobias Beckett! In the thick of frontline battle! Filming the classic blaster twirl sequence at Pinewood. She'd been in the background after the retreat of the Resistance from D'Qar, and has suffered terribly with the tragic but worthy sacrificial loss of her sister in combat against an enemy dreadnought. 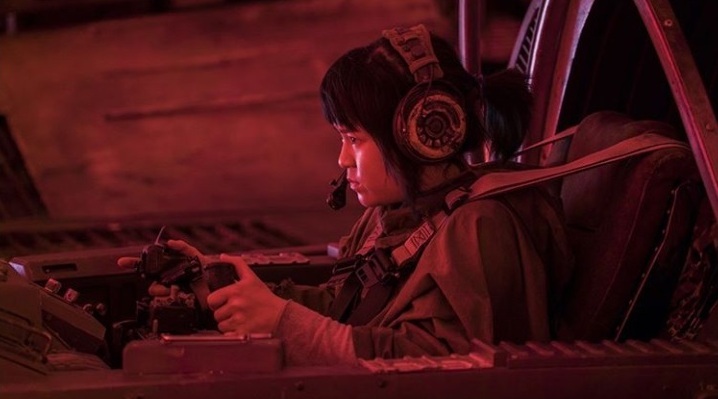 Now, with her new friendship with former Stormtrooper Finn secure and blossoming, young mechanic and 'fixer' Rose Tico is at the very forefront of the battle against the First Order's technological terrors on the far out world of Crait, for the epic finale to The Last Jedi. Newly arrived at the planet Scarif, Governor Tarkin and his officers prepare to aim the Death Star's power at the now compromised Imperial facility. A terrific visual showcase of the space station's Overview Bridge, from Rogue One: A Star Wars Story. 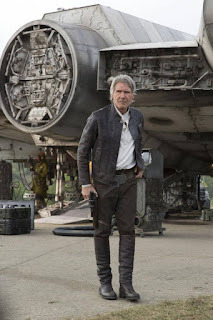 Han Solo takes a last look at his surroundings as his mission to Starkiller Base fatefully awaits. A great image shot at the UK's redressed former Greenham Common air base exterior turned into the Resistance home of D'Qar, for The Force Awakens. This scene was shot around September 2014, with Harrison Ford returned to filming after his unfortunate on-set injury earlier that year. 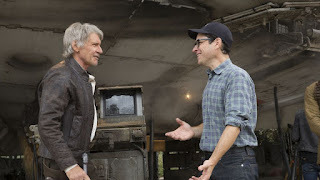 Having known and admired J.J. Abrams since their work together in the nineties with the popular feel good movie Regarding Henry, Harrison Ford's return to the Star Wars saga after a long absence felt more assured for the film star actor- his overall feelings and instincts strong for VII's overall story and Han Solo's character arc. Players both for good and for evil converge at Coruscant, the centre of the Republic, as the returned Sith, led by the malicious Darth Sidious, launch the final ambitious and apocalyptic phase of revenge against the galaxy. 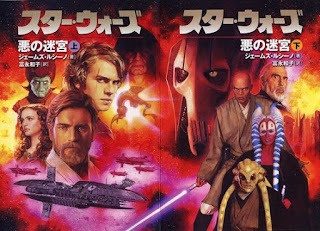 This is James Luceno's splendid events-packed lead-in to EPISODE III, Labyrinth of Evil, seen here via its gorgeous Japanese book cover edition from 2005. If you've never read this page-turner, it's well worth picking up. 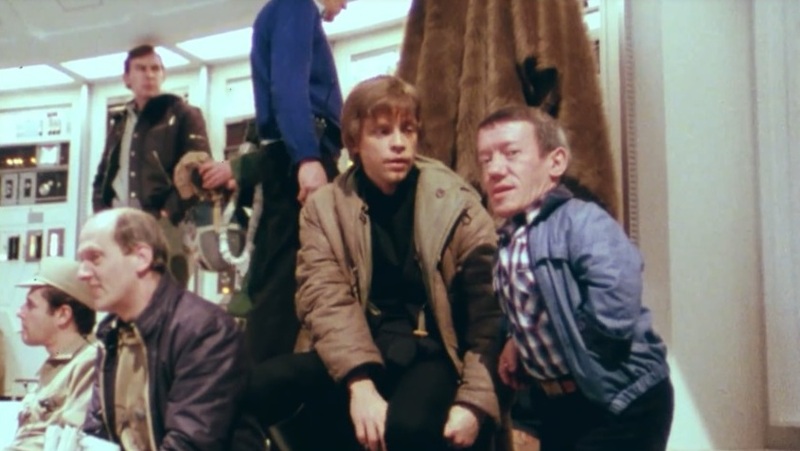 One of the greatest qualities about Mark Hamill is surely his 'people skills'- enjoying the interactions and companionship of his teammates the world over, be they large, or, in the case of the late Kenny Baker, small. 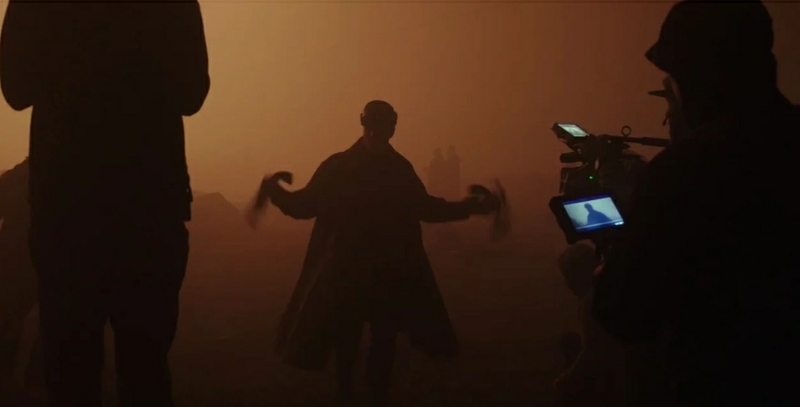 From the get-go, the pair had fun together filming the original Star Wars in Tunisia. Later, in London during the Summer of 1976, Kenny and best friend/work partner Jack Purvis even took Mark for a fun night out enjoying their double-act, plus the city's cabaret/variety club circuit scene. 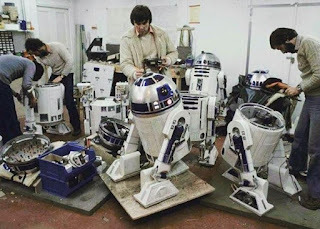 Here, the pair enjoy a brief respite between filming the busy Alliance gathering scene, shot on a very un-soundproofed Elstree soundstage, for Return of the Jedi, circa February 1982. 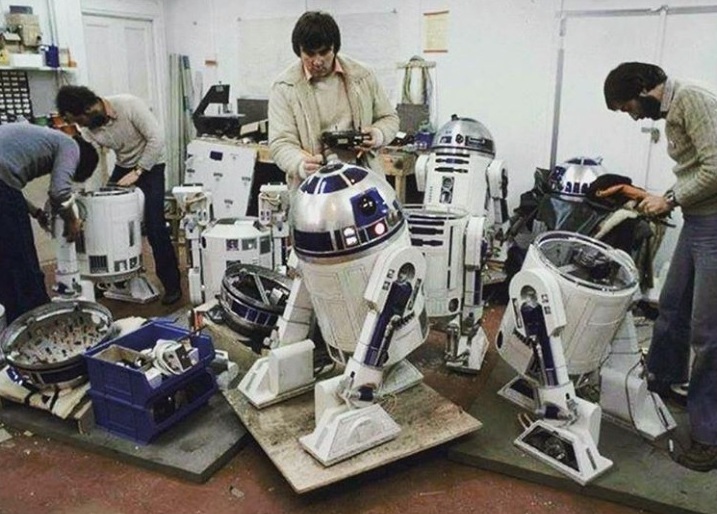 Often regarded on set in 1976 as the stuff of behind the scenes nightmares - the operation of the many remote controlled versions of the icon droid R2-D2 during the making of the Classic Trilogy. Though it seemed like Brian Johnson had the droid, blessed with a mind of its own beyond Kenny Baker's performance, under his control for the most part of The Empire Strikes Back, largely thanks to a complete overhaul of the three-legged version's electronics. 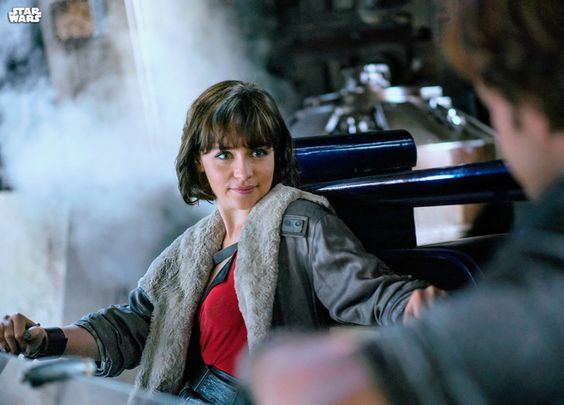 Though their early relationship started on a rocky note, the love between Qi'ra and Han Solo soon grew, intensified with their need to escape from the industrial slums of Corellia once the opportunity finally arises, in this moment from Solo: A Star Wars Story. Seeing-in the new age of Rebellion. 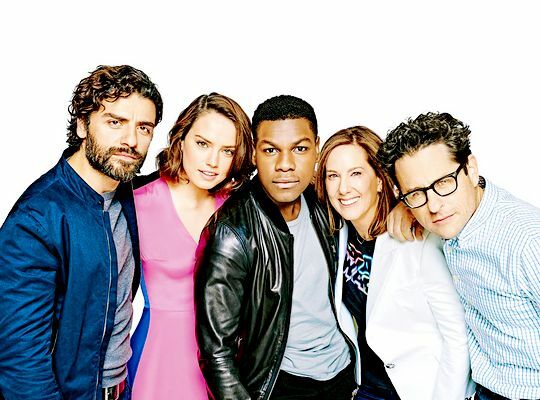 Image: Entertainment Weekly magazine. The magic is back as the team from The Force Awakens are reunited for one last ambitious adventure within the Skywalker family mythos, as the main bulk of London studio filming for EPISODE IX nears completion by March 2019, of which key cast have already finished playing their roles.